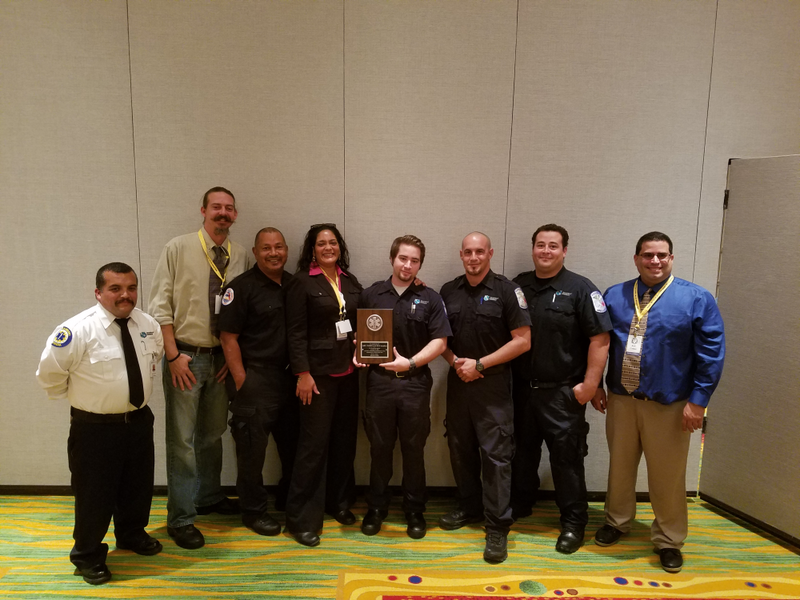 Members of IAEP Local R5-84 were recently presented an award by National President David J. Holway honoring their heroic actions on June 12, 2016. 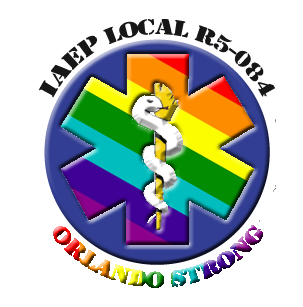 The Orlando-based EMS professionals were on scene at Pulse nightclub in Orlando when the deadliest mass shooting in U.S. history took place. They responded to the tragedy, providing care to the wounded, and working to save the lives of those critically injured. 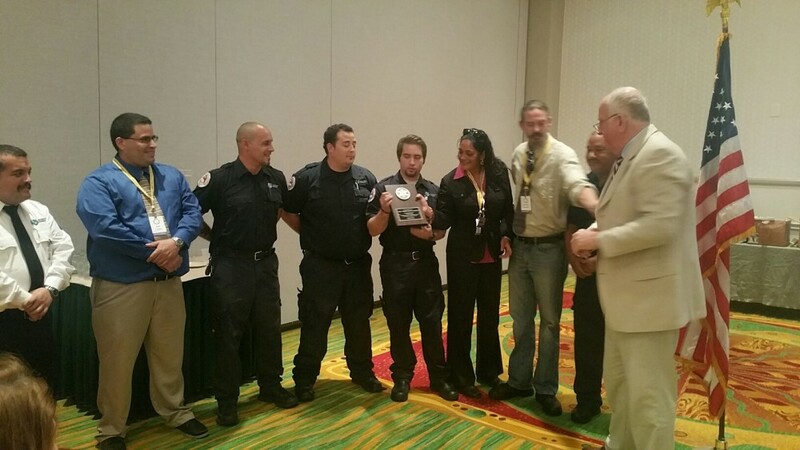 Local R5-84 Vice President and Paramedic Narissa Mohammed said, “I am so proud to work beside these men and women. 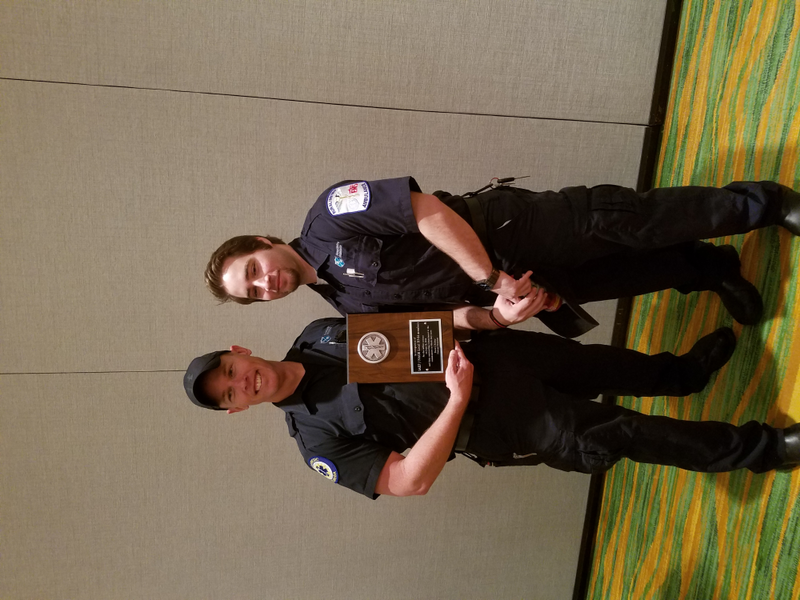 What they did for our community is outstanding.” Eight members of Local 84 were at the award presentation, including EMT Lucas Slowik, who was first on scene during the shooting. The EMS professionals were prepared for an incident like this. Rural Metro has a mass casualty incident training once a year, and a fictional shooting with 550 patients took place in March 2016. The crews were also on duty throughout Hurricane Matthew along with IAEP members across Florida. “Our members face these types of situations day in and day out, so it’s a real pleasure to have the opportunity to recognize and thank the EMTs and Paramedics of IAEP Local R5-84 today,” said President Holway.